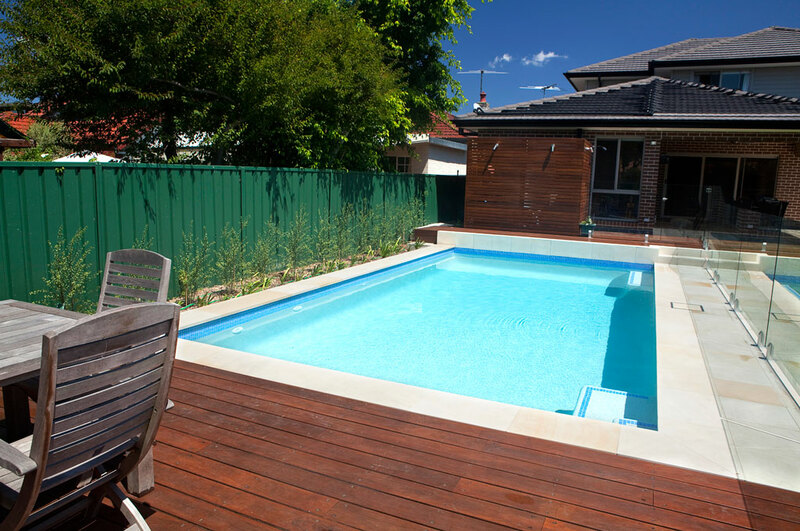 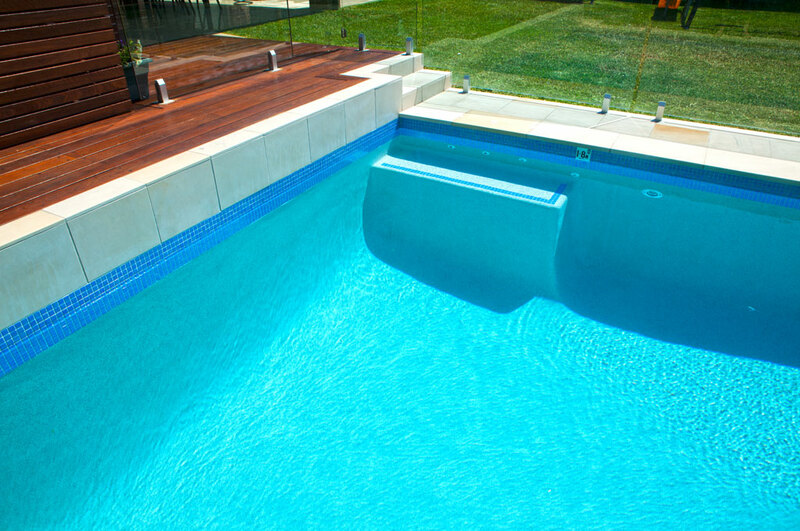 This simple rectangle family swimming pool is augmented with a split level timber deck adjacent to the residence and another timber deck at the opposite end to provide an sense of connection and character. 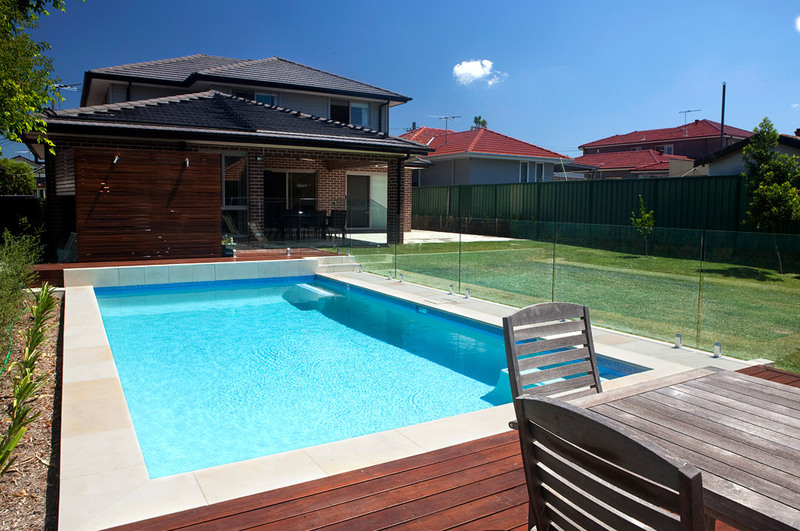 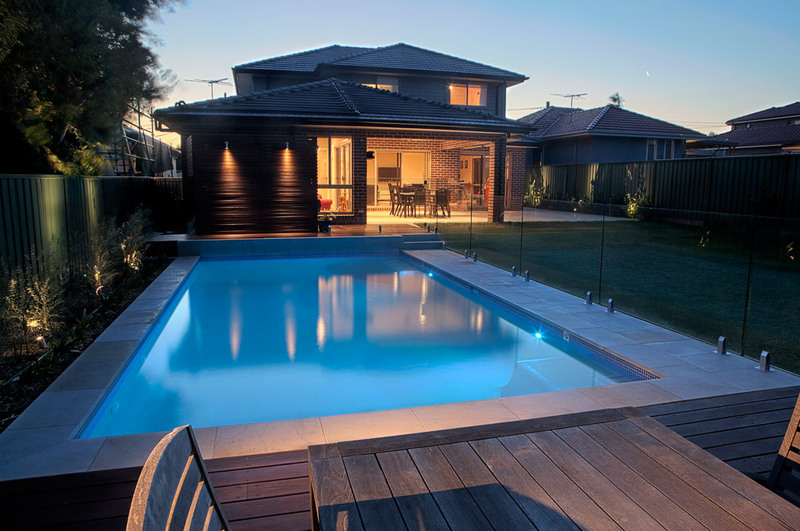 The frameless glass pool fencing not only meets the required safety standards but provides strength whilst delivers on style and creates a sense of connectivity between the swimming pool and it’s surroundings. 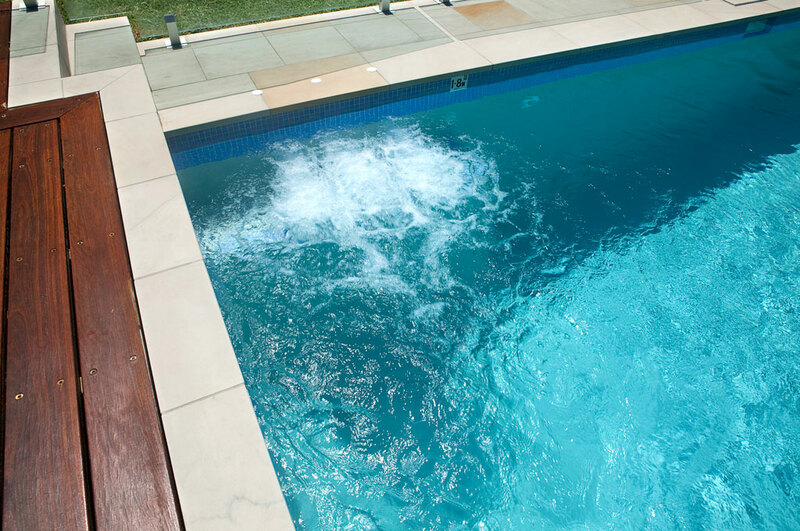 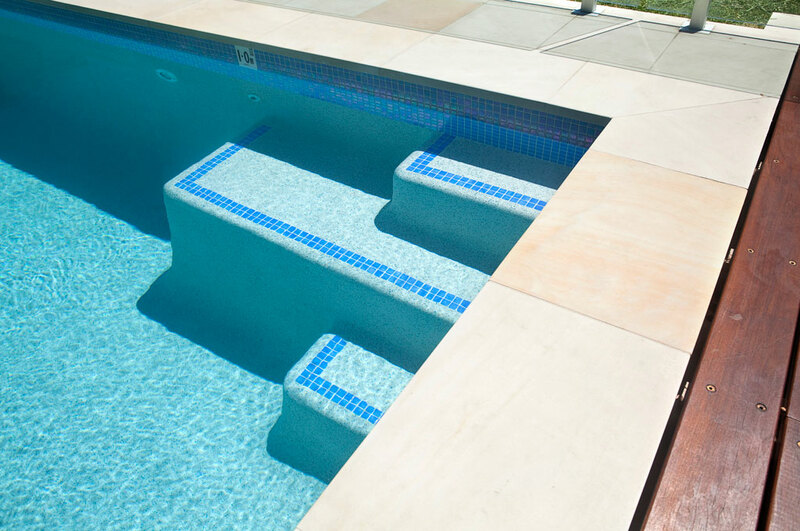 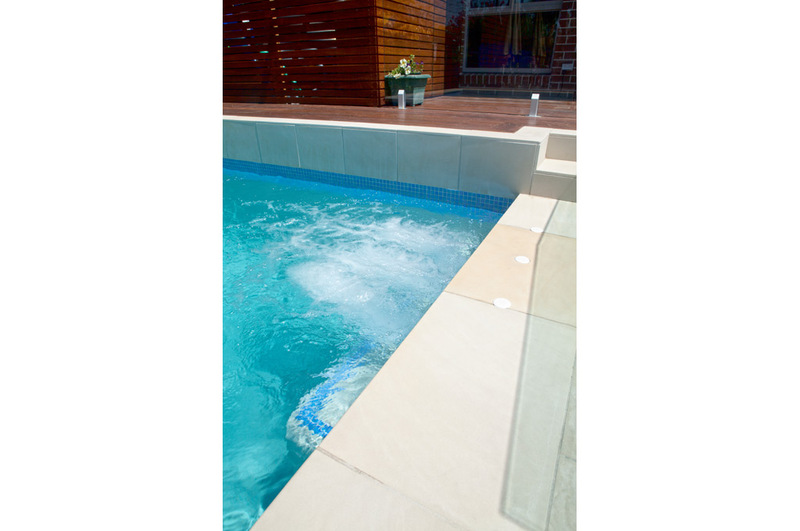 The Crystal Resort White Pebble interior finish with blue chips provides a crisp blue appearance to the water.